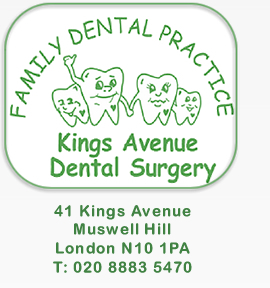 Kings Avenue Dental Surgery is located in Muswell Hill, North London. We are located in a residential road 5 minutes walk from the broadway, &, easy access to public transport. Approximately 10 minute walk from nearest underground, & a 5 minute walk from nearest bus station. The City and West End are also easily accessible via public transport and are approximately a 25 minute drive.